Take a musical journey, with Kiddle & The Rock Monsters, to a world filled with zany rock and roll monsters! 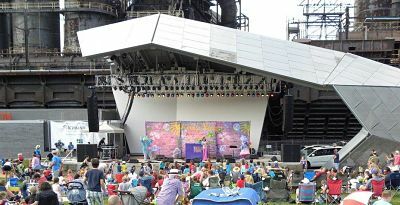 Come rock, roar and play along with Kiddle and The Rock Monsters. They are perfect for family fun days, children’s corporate entertainment and children’s festivals. 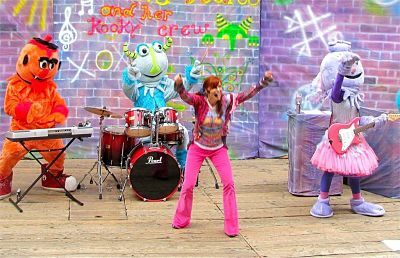 Winner of the 2011 Kidz Music Award, The Monster Rock concerts are an exciting main stage act guaranteed to pump up the energy at any family event! Part rock star part friend, Kiddle engages kids of all ages. 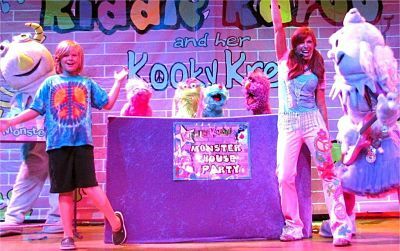 With their rockin’ tunes and colourful characters, this “monster” concert gives young audiences a real “big kid” experience! Prepare for a unique Kindie Rock concert that features a band of colourful costumed monsters, wacky monster puppets and charismatic lead singer Kiddle. 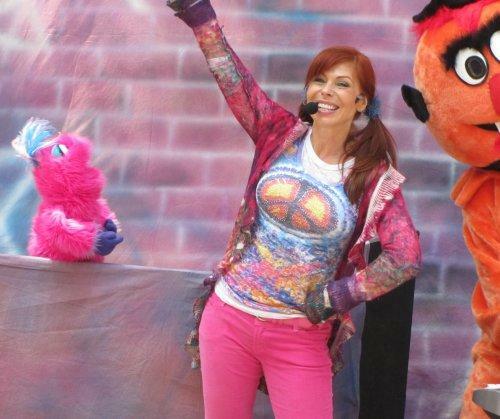 This energetic and lovable crew combines rock, pop and hip-hop music with comedy, dancing and a touch of magic to entertain kids and their parents too! An absolute winner for any family event, Kiddle’s “Monster House Party” is a sensational blend of high-energy original music and rockin’ kid’s classics with a “monster” twist! The crowd “roars” and dances along when this monster romp brings everyone to their feet for a monster-ific time! Kiddle has performed for celebrities and royalty and is now available worldwide! Pre or post show activities of face painting, balloon sculpting, walkabout “monster” characters and 12 foot monster parade puppets are also available for a complete monster entertainment package. Additional shows available including Halloween, Christmas, Earth Day and Kiddle’s Monster Beach Party Concert. The shows last for 60 -75 minutes or can be split into 2 x 40 minutes. Plus any additional pre or post show activities. 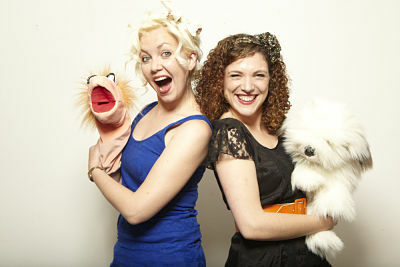 Kiddle is one of the best shows of our children’s series every year. The smiles on the faces of kids and parents alike attest to the joy Kiddle creates. I want to thank you for being such an outstanding addition to so many Gatherings events. It’s nice to know we can always count on you to help make our events successful. Your performances at our big events have generated nothing but positive feedback. 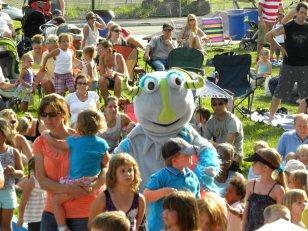 Gatherings would highly recommend Kiddle as being an asset to any event. Thanks Kiddle, it was an amazing show, one of the best acts I’ve had come out! I want to thank you all for a wonderful show. The children and parents loved the performance. I got a lot of compliments. Thanks again. I don’t know what monsters do for a living – unless they work at factories making stuffed people dolls – but they are having a blast at the Silly Monster House Party! The cool songs hip and hop and rock and will definitely have the kiddies dancing and singing along like rock stars. Hey, don’t let those monsters have all the fun join the party!